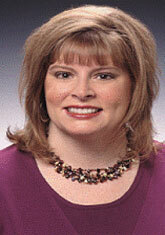 Maria started with the Rieder Team in 2004 after 14 years in the insurance industry. Growing up in a sales family made her entry into real estate a natural fit. She works full time helping buyers and sellers with all their real estate needs. With customer service always at the forefront, Maria’s role is essential in meeting the individual needs of each client as well as contributing to the team’s overall success. As the team Listing Coordinator, Maria’s attention to detail and hard work provides clients with a hassle free experience and guides them through the listing process start to contract….including prompt showing feedback, advice on the changing market, suggestions for property improvement, photography and signs. Maria values an honest relationship and protects her client’s interests as if they were her own. Maria resides in West Chester with her husband and four children. She is very involved in her community and church. She is a graduate from the University of Cincinnati with a BA in Accounting and Information Systems.